The latest Pocket Gamer Connects event is almost upon us. And once again we're thrilled to welcome the participation of our partners at G-STAR. The South Korean games organisation – which runs the huge G-STAR conference in Busan every November – possesses a unique insight into the Asian market and it will be sharing that with attendees in Helsinki next Tuesday and Wednesday. The Asian games market is enormous and South Korea, in particular, offers fantastic potential for Western companies looking to take their games East. With this in mind, add Tuesday September 11th at 2:40 pm to your calendar. 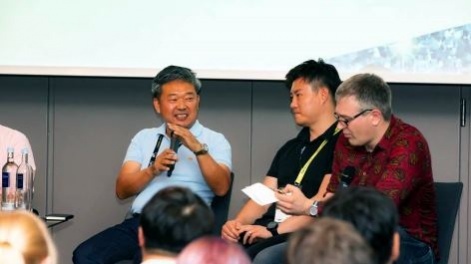 During the packed East Meets West track, G-STAR will be speaking about "The Asian Game Market And G-STAR", offering valuable advice and information for developers and publishers preparing to experience South Korea and beyond. Representatives Don S Kim and Wade Seungwoo Jung will be available to take meetings. Attendees can connect with them using the free online Pitch & Match system. 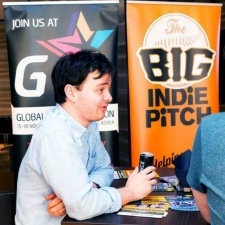 G-STAR is also the season sponsor of the Big Indie Pitch series of developer events, which means that it will also be visible during the Very Big Indie Pitch (taking place on Tuesday, September 11th in the afternoon) and PC Indie Pitch (which takes place on Wednesday, September 12th). The Very Big Indie pitch in Helsinki is also sponsored by indieSky and Epic Games. This is the second year of the partnership between PG Connects hosts Steel Media and G-STAR. The relationship is designed to support and promote each other and to grow the respective audiences around the world. G-STAR is the hub of the Asian game market and provides an amazing platform for entry into the Asian game market. The event offers visitors an optimum business environment – there's a relatively low participation cost coupled with the maximum opportunity for meeting the industry. It always features the best selection of games companies, from indie developers to the largest firms. This year, a focus for G-STAR will be international attendees. National booths and pavilion participants will be strongly welcomed. G-STAR delegations are currently touring Europe, America and Asia to meet potential participants. As well as more booths from representatives around the globe, 2018's G-STAR will also be heavily promoting the indie games scene. This year’s G-STAR takes place on November 15th to 18th at BEXCO, Busan, and has a variety of programmes for B2B and B2C participants. The include the Korean game award, a welcome reception, an indie promotion booth, games industry conference G-Con, an investment market and a job market as well as a Big Indie Pitch – and this year, the awesome Big Indie Awards. 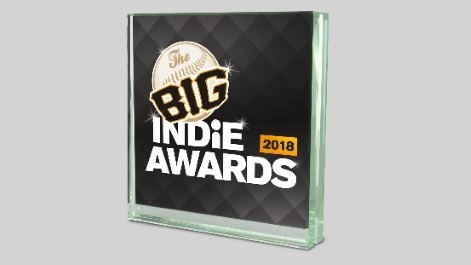 The Big Indie Awards are a chance for all indie developers around the world (including previous Big Indie Pitch winners) to submit a project for global recognition. The deadline for entry to the Big Indie Awards has been extended until the end of September so there's still time to get involved! "We're thrilled that G-STAR is supporting Pocket Gamer Connects Helsinki again," said Steel Media COO Dave Bradley. "Our annual conference in the Finnish capital is always a highlight of the calendar and brings together a true cross-section of the global games industry, from indie developers to triple-A publishers. "I'm looking forward to hosting the East Meets West track where you will be able to find out more about the Asian market, with specialist insight from G-STAR representatives. "Later in the year, we'll have the opportunity to take the Big Indie Awards to Busan in South Korea with G-STAR's help. G-STAR is the most accessible route into the thriving Asian market and everybody in the games industry should plan to visit if they haven't been before." With just one week to go until PG Connects Helsinki, book your ticket now. G-STAR tickets are available from the official site. Pocket Gamer Connects Helsinki Badge Pick Up Party kicks off tonight!